This is sponsors week. 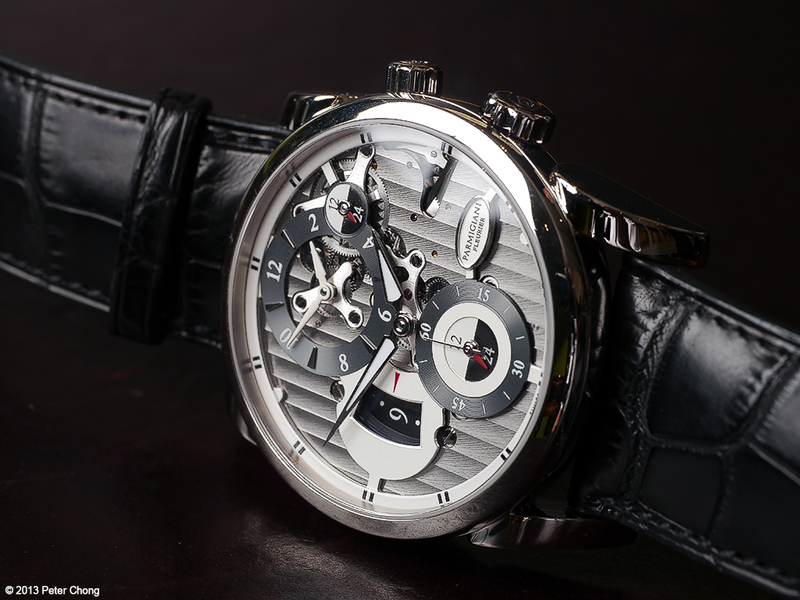 Featuring the Tonda Hemispheres two timezone watch from Parmigiani Fleurier. 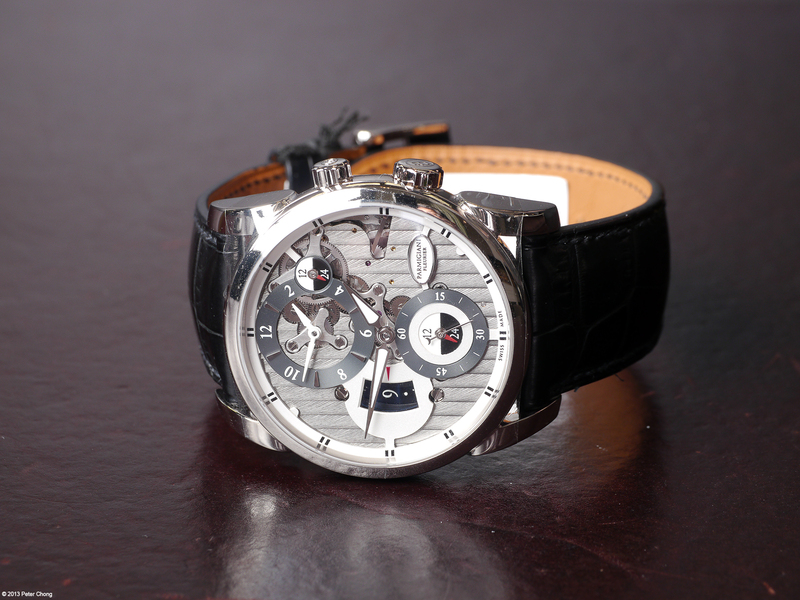 The watch is built in the characteristic Parmigiani style...no holds barred, top quality finish. As mentioned in my articles written for their blog, Parmigiani is a full manufacture...the full value chain from design, concept, testing, prototyping and production of every component...the small movement components, the dial, case, full movement is created and manufactured totally in-house. 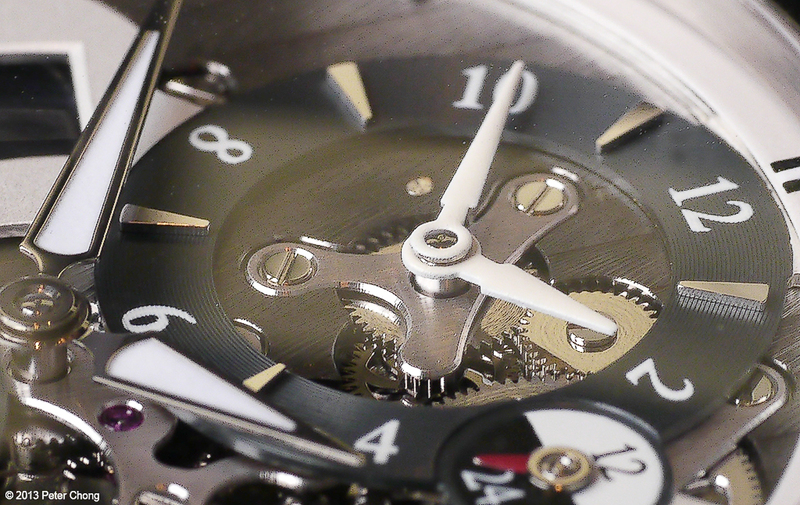 Finishing of the dial, case, movement is first rate. Equipped by a Hermes alligator strap. 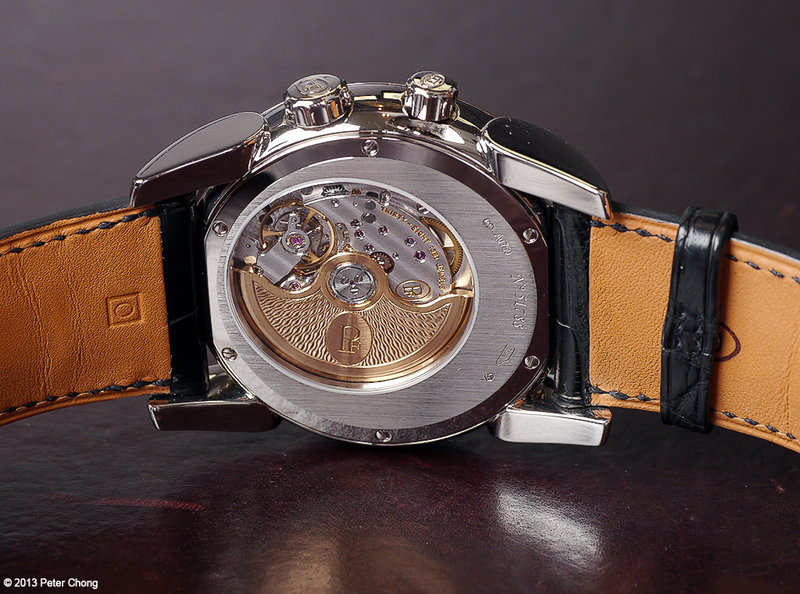 The movement, caliber PF337 automatic movement features two timezones and date. The movement is partially visible through the open dial, but instead of a full skeleton dial which makes time reading difficult, all the more important for a dual timezone watch, when one needs the second timezone while travelling, often tired and jet lagged.